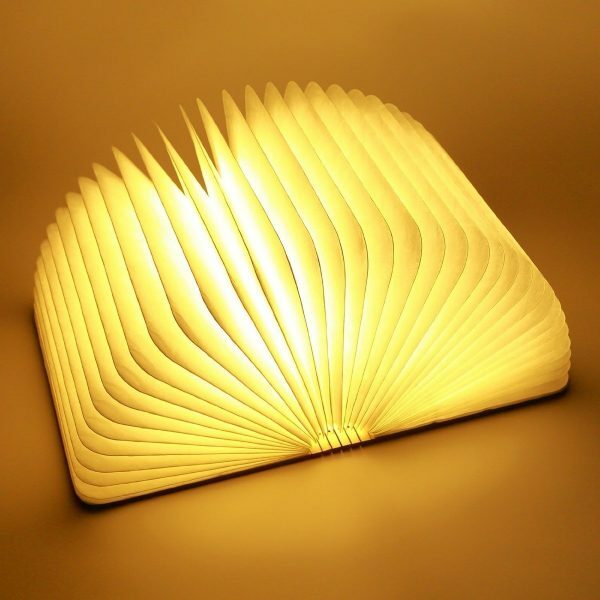 Book-Shaped Light: Rifle through book pages beside the rifled pages of an open-book light. 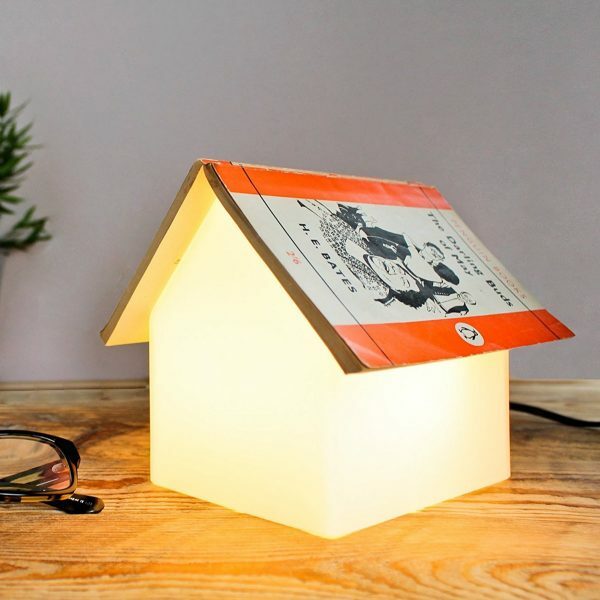 Book Rest Book Lamp: Tired of coffee stains marking pages? 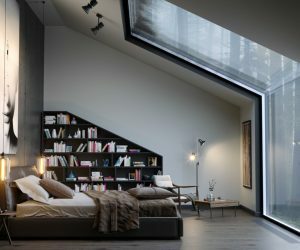 Rest your book’s laurels on this house light instead. 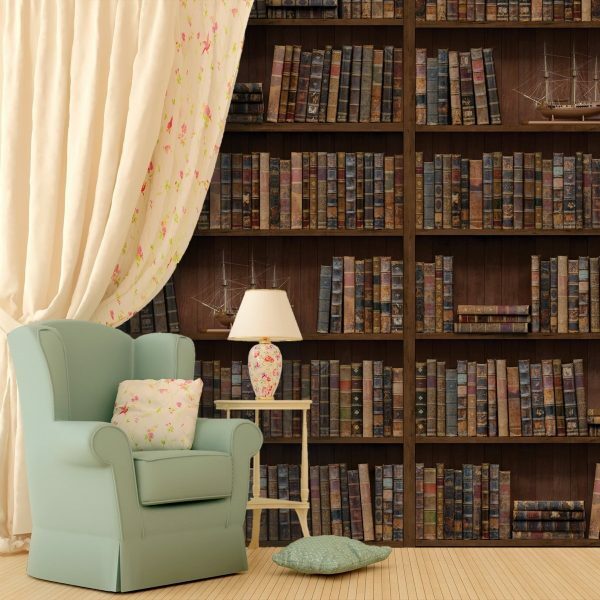 Library Wall Decal: Want a top-to-toe library, but don’t have the books? Imagine them instead with this clever decal. Bookshelf Door Decal: Pretend you have a secret passageway with this nifty door decal. 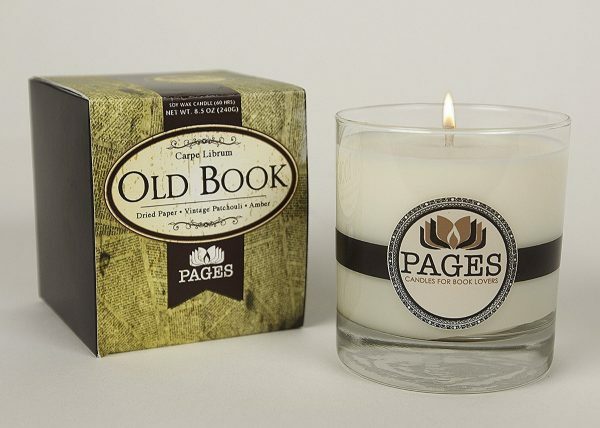 Old Book Scented Candle: The antique bookshop has finally been encapsulated in this candle of dusted amber, lined suede and dried paper notes. 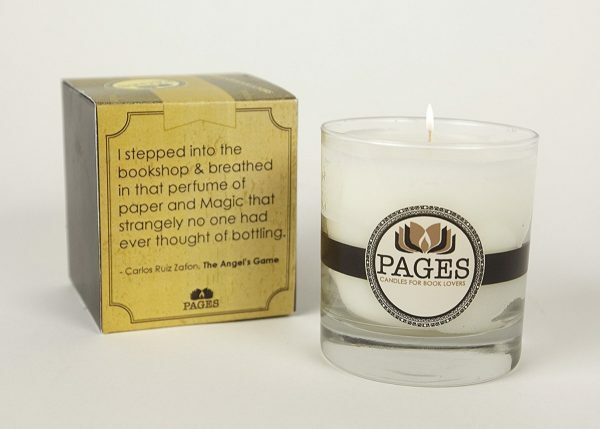 New Book Scented Candle: Not a fan of the older book aroma? Get the smell of a new read, with a quote to boot. 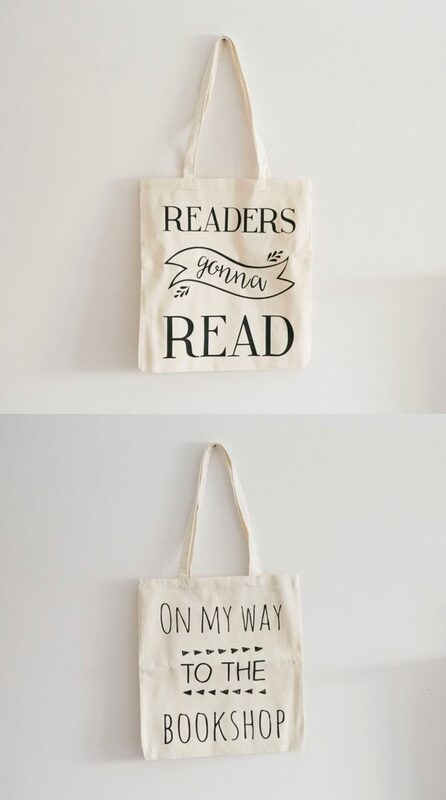 Book Lovers’ Tote Bags: Be loud and proud of your bookishness, with these canvas bags proclaiming the fact. 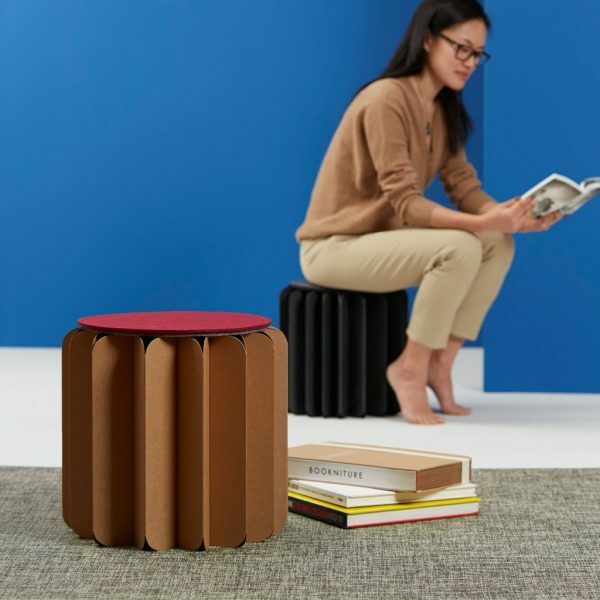 Bookniture: This origami-inspired innovation can hold half a ton of weight, and fold away on the shelf – a perfect gift for the book lover in your life. 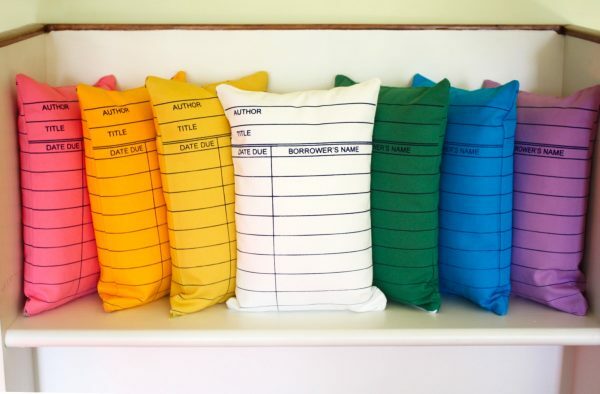 Library Card Pillows: Dream of escaping book fines with these library card pillows under your neck. Pick from the colours of the rainbow for a fitting décor match. Book Lover’s Throw Pillows: Read the classics on these made-for-gift pillows, available in a variety of quotes and bookish notes. 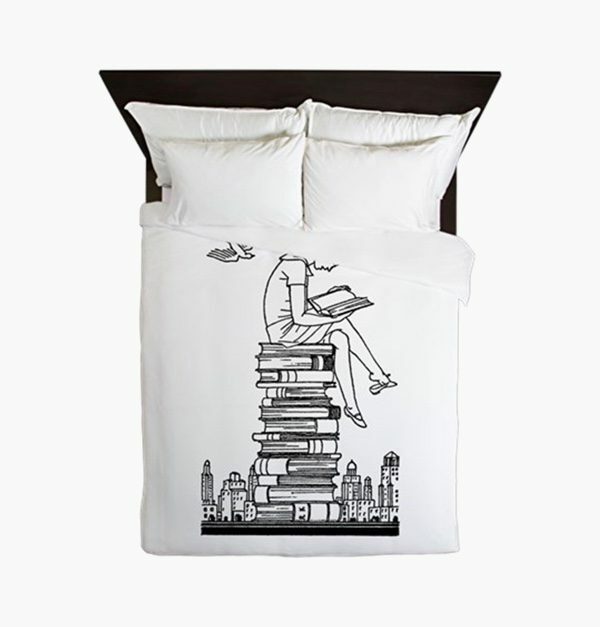 Reading Girl Duvet Cover: Encourage your young lady’s passion for literature with this bookish bed set. 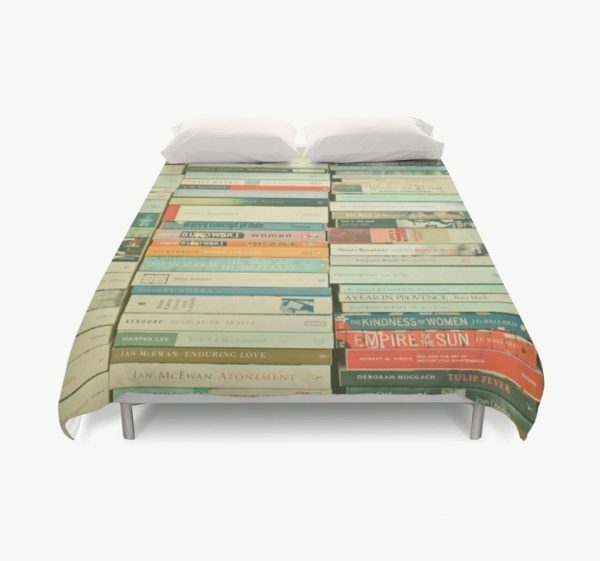 Books Duvet Cover: Sleep underneath your favourite authors with this book-loving bedspread, a motley of authors such as Kerouac, McEwan and Harper Lee. 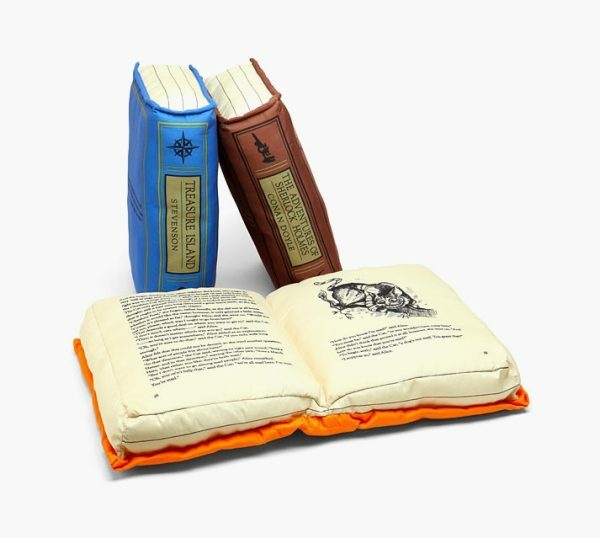 Book Pillows: Fall asleep with a book under, not over, your head as you dream of your next reading session. 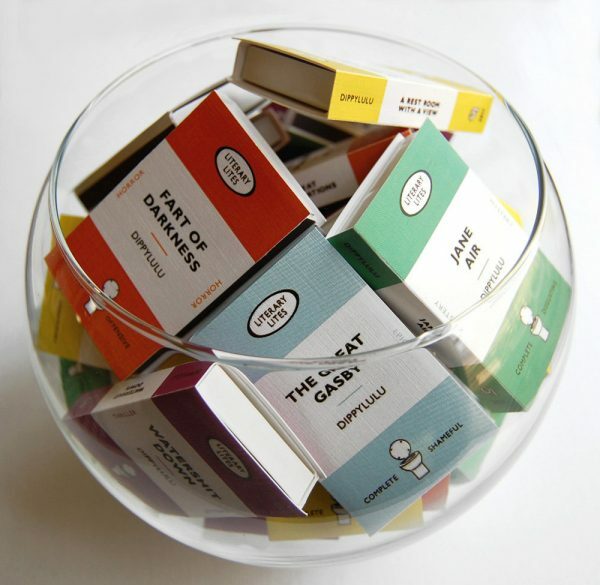 Penguin Classics-Themed Matchboxes: Light up a candle or cigarette within a book, beside a book. These matchboxes mirroring Penguin classics take a humorous view of your favourite reads. 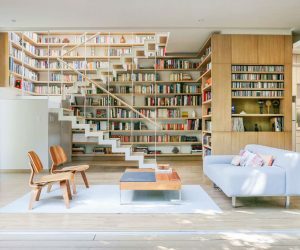 Invisible Bookshelf: A clever trick for the eye, this playful bookshelf holds your favorite five or six reads – without a bookshelf structure to be seen. 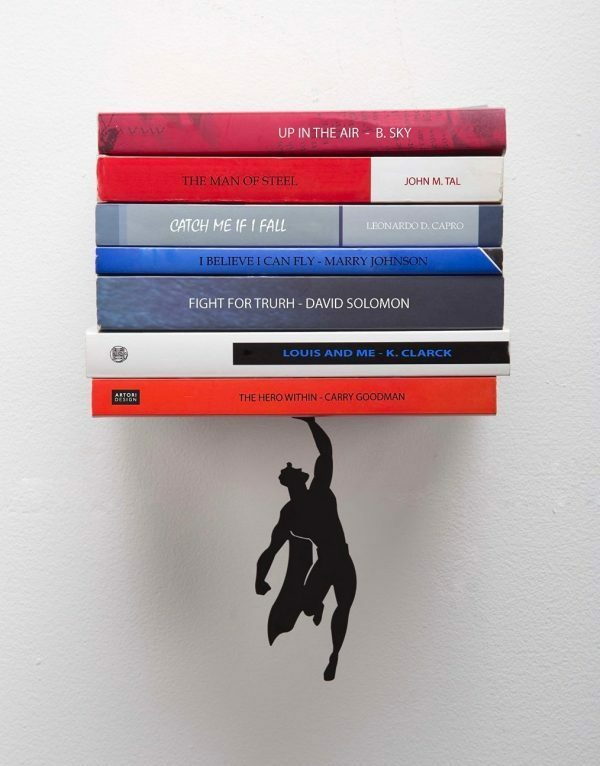 Superman Floating Book Shelf: Reading a book that requires superhuman effort? Show off your literature prowess as Superman supports your collection from beneath. 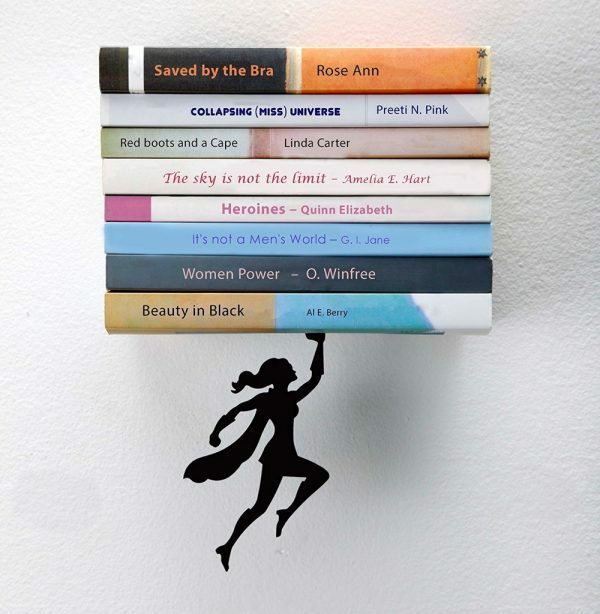 Superwoman Floating Book Shelf: Find a gift for your fellow feminist, with this bookshelf for definitive texts. Superwoman holds up the sky, novels, and landmark publications. 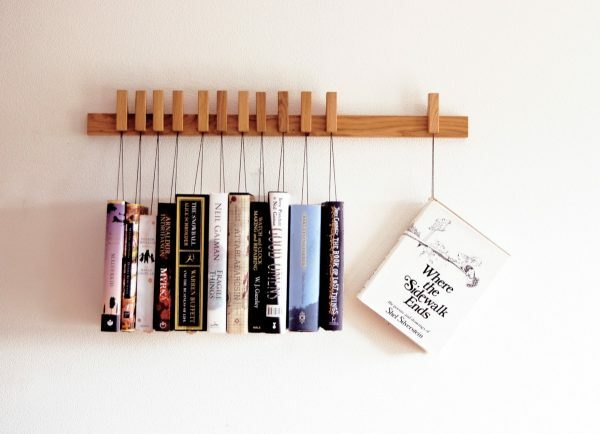 Agustav Hanging Bookshelf: A Scandinavian dream in oak wood, this bookshelf holds your books like a coat hanger. Pins hanging from the hangers mark your place for the next reading session. 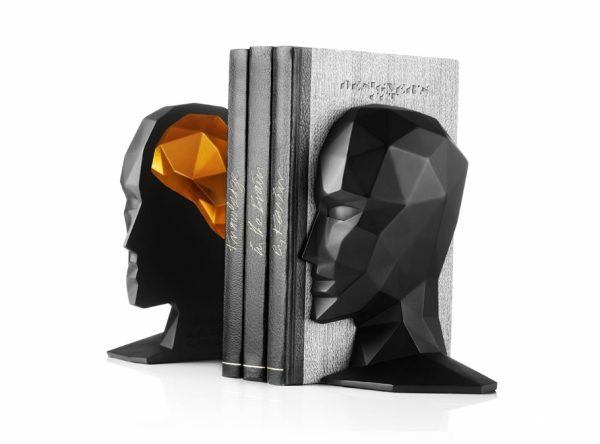 Knowledge Bookends By Karim Rashid: Make your mind golden like Rashid did, with this self-modelled representation of a knowledgeable mind. Made of rubber-coated stone resin, it’s also available in white and pink. 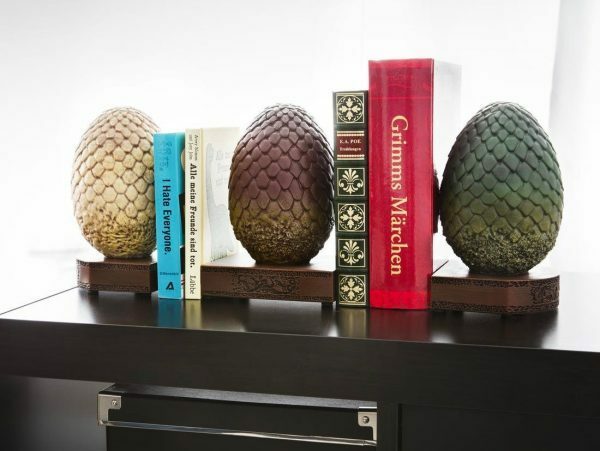 Game Of Thrones Dragon Eggs Bookend: Collect all Daenerys’ wedding gift eggs with these bookends amongst your fantasy novels. Officially licensed by HBO, they can sit as a set of three or separate pieces. 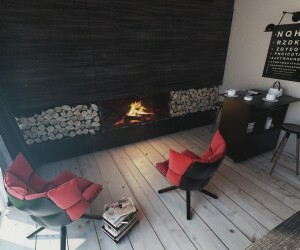 By the way, if dragons are your thing, don’t forget to check out our post on dragon home decor. 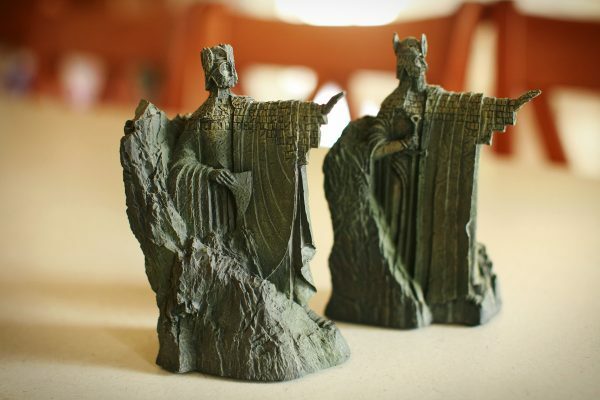 Lord of the Rings The Argonath Bookends: Use the power of the Argonath to sit your books together, in one unique bookend for the diehard fan. 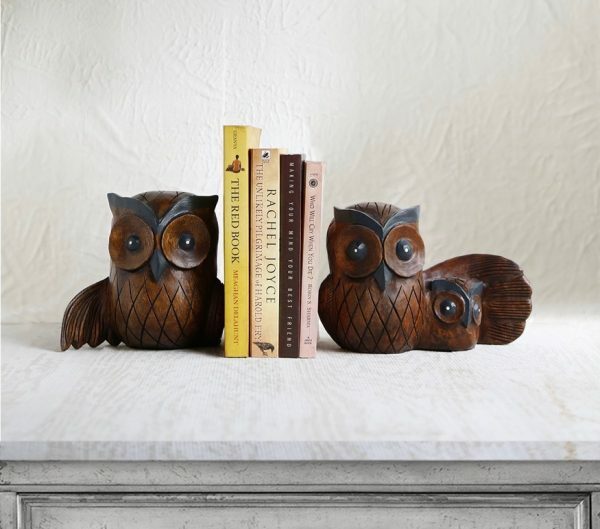 Owl Bookends: Ever the night owl, read into the night with this Indian rose wood owl home décor find. 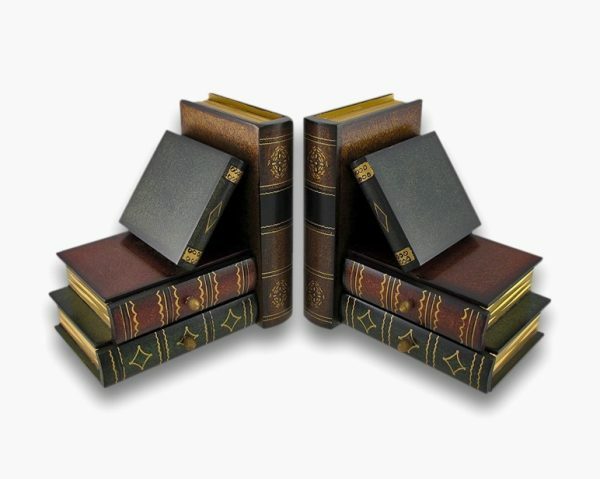 Book-Shaped Bookends: Allow nothing but books on your shelves with these book-look bookends, hand-shaped and of museum quality. Book-Shaped Bookends With Drawers: After a more structured feel? These darker reads feature four small hidden drawers within their jackets. 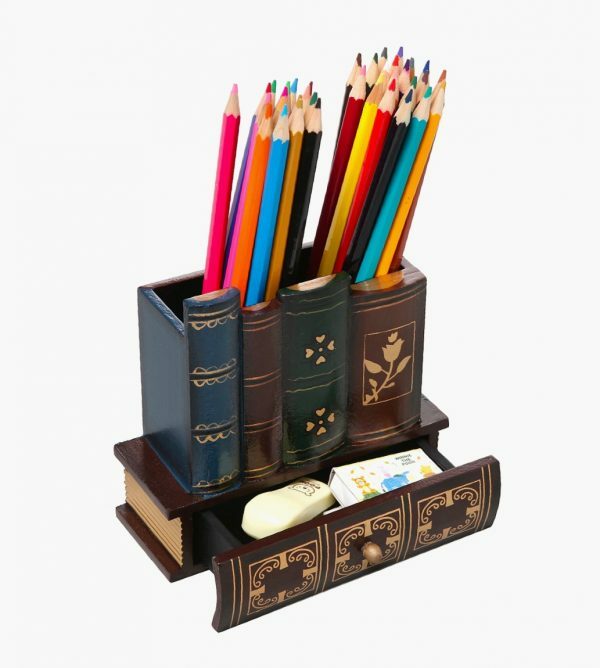 Book-Shaped Pencil & Stationary Holder: Make your own pen a sword, with these books offering weaponry to hand. A drawer underneath holds staples and little necessities for the writing of that ‘big idea’. 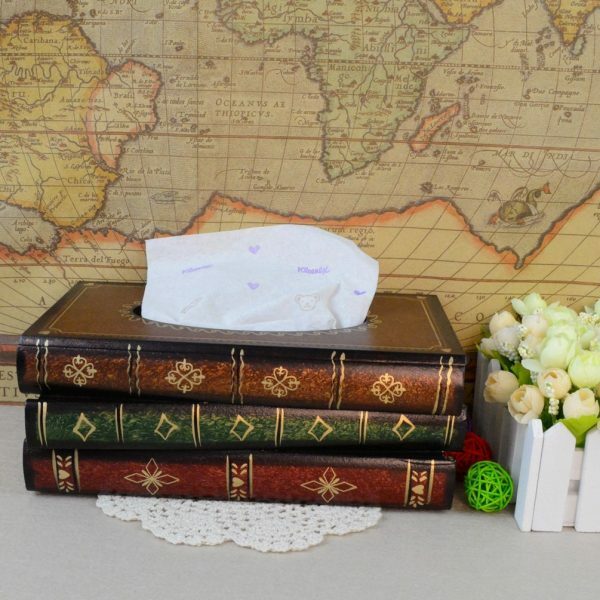 Book-Shaped Tissue Dispenser: Almost finished the final chapter? Wipe away the tears with this hidden tissue box, made of wood with gold-painted paper edges. 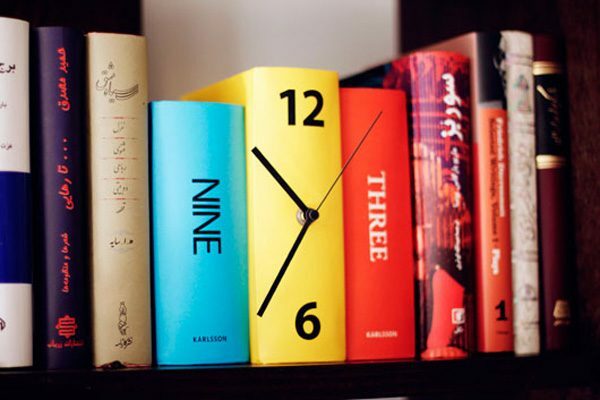 Book Clock: Let time fly as these books cuddle in your bookshelf. 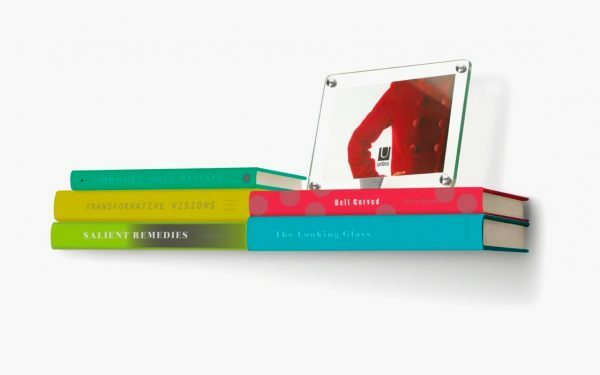 A set of three books in different colours act as one piece, blending into your bookshelf at the same time. 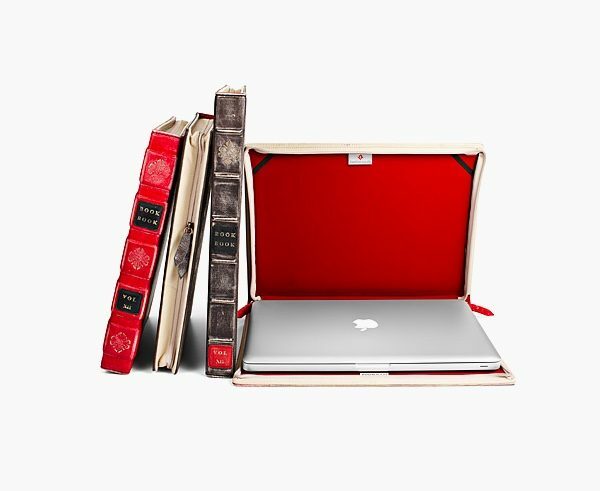 Macbook Book Case: Take your Macbook back in time with a secret book cover identity. 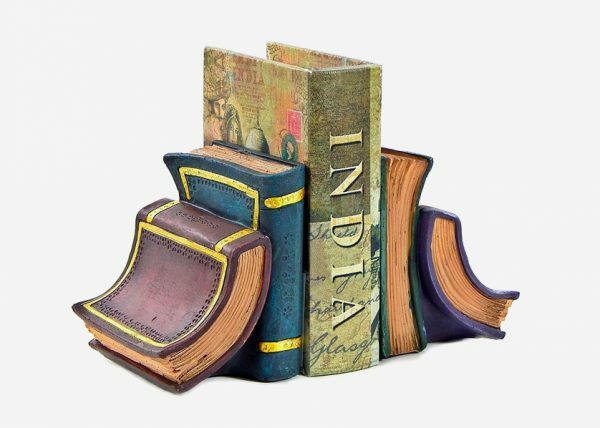 Made of vintage leather, its inner edge features a mock book spine. 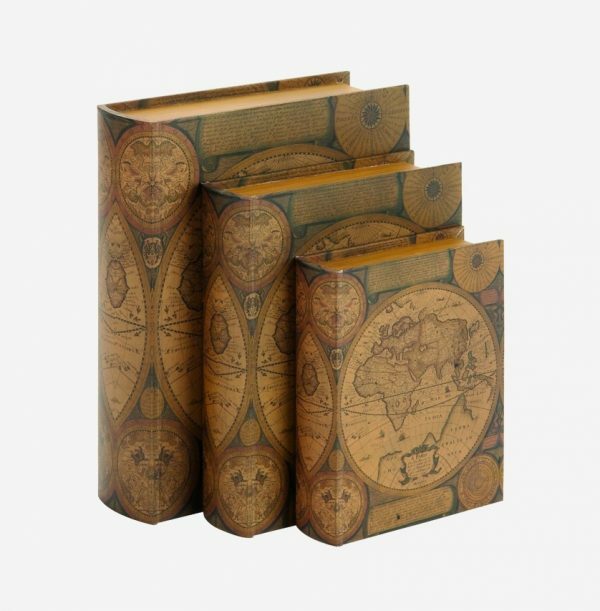 Book-Shaped Secret Storage Box: Protect your valuables with a nifty disguise – a series of old book jackets. 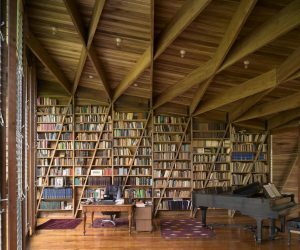 Clad in wood, their exterior is made to look like classic book jacket leather. 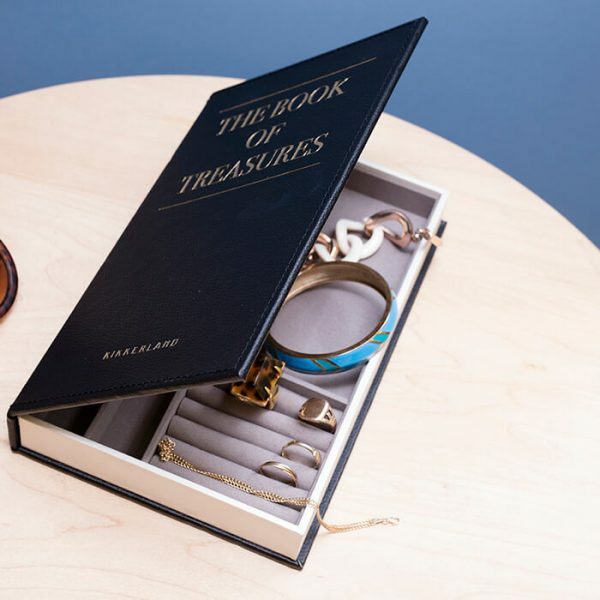 Book-Shaped Jewellery Holder: Give more than a book with this unique jewellery holder. Its poly-leather interior reveals separate compartments for necklaces, rings, trinkets and earrings. 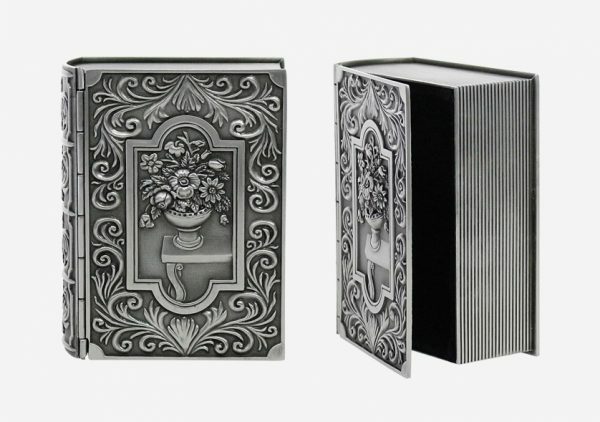 Book-Shaped Metal Trinket Box: Design a book in metal with this patterned filigree trinket box, made of long-lasting zinc alloy. 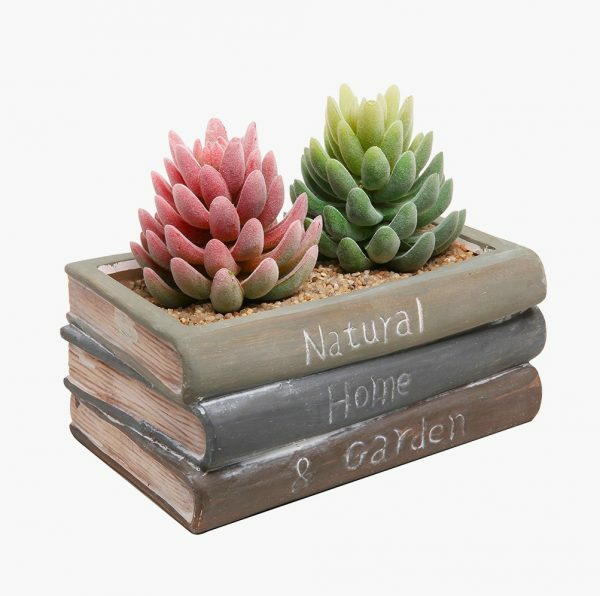 Book Succulent Planters: Let life grow out of fairytales, with this unique planter box on your office table. A row of cacti within its frame would offer an easy-to-care-for option. 100 Essential Novels Scratch Off Chart: Aiming to read all the classics? This chart lists all the classics you need to read, letting you scratch off their exteriors as you complete each text. A simple coin scratch turns their un-read golden covers into a story specific cover detail. 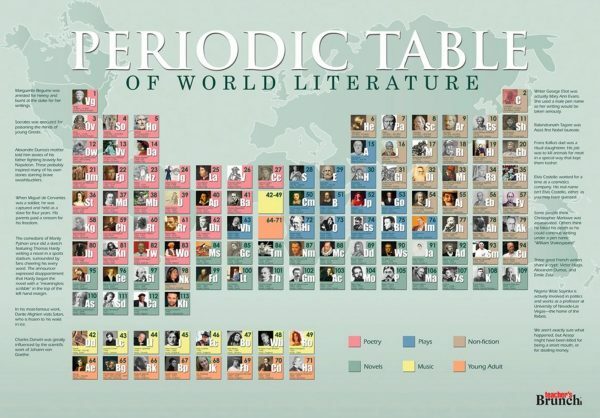 Periodic Table Of World Literature Poster: Combine science and literature in this chart of the elements. Writers are grouped by their technique and style – and orders are shipped within twenty-four hours. 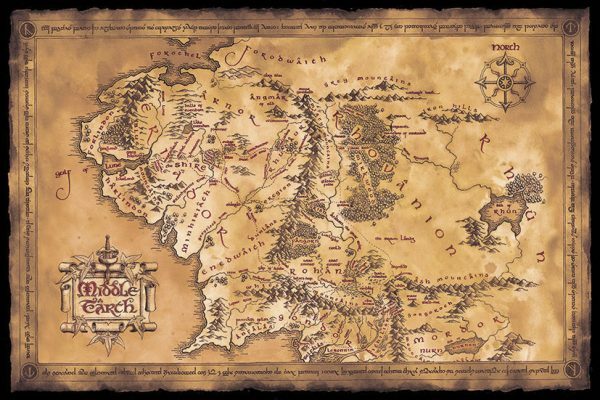 Lord Of The Rings Middle Earth Map: Search for the ring with this map of Middle Earth on your library wall. Its limited edition dark sepia hues could top your stocking list. 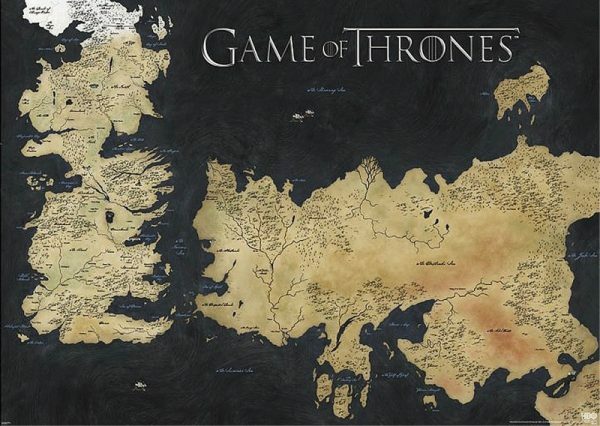 Game Of Thrones Westeros Map: Explore Westeros outside the small screen, as this map hangs for fantastical pondering. A classic black frame turns it into a gift for a friend at Christmas. Game Of Thrones Travel Posters: Celebrate the landscapes of your favourite show with these posters, a fitting find for the avid GoT decor fan. Harry Potter Travel Posters: Celebrate Harry’s journey with these home décor destination posters. Sized at 13 x 19 inches, they show each stop between London to Scotland on the Hogwarts Express. 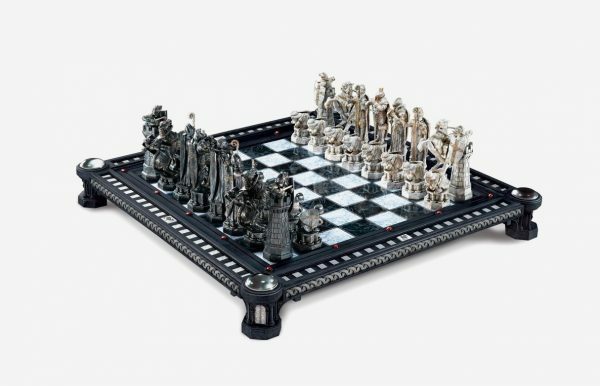 Harry Potter Chess Set: Combine fiction and strategy in a stunning chess set for your living room table. Recreating characters from Harry Potter and the Sorcerer’s Stone, each piece of the 32-piece set is made to the exact details in the film. 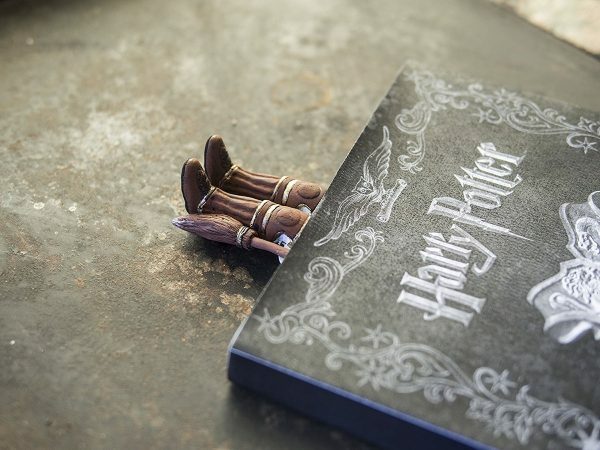 Harry Potter Themed Bookmark: Make your bookmark noteworthy as Harry’s boots hang upside down. These hand-crafted beauties from Ukraine come with a one year warranty. By the way, if you are a Harry Potter fan, don’t miss out our feature on Harry Potter home decor. 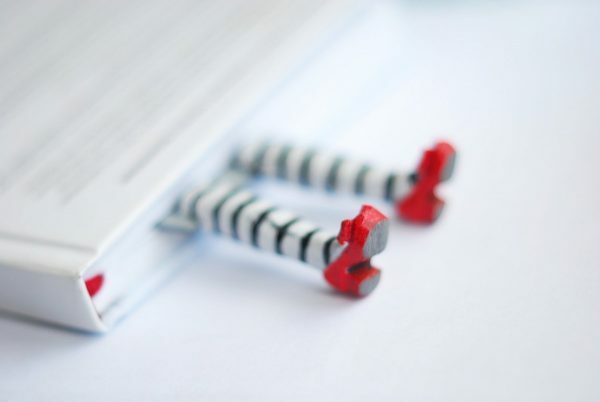 Wizard Of Oz Themed Bookmark: Squeeze Dorothy between your pages with this beautiful bookmark, made with the same hand-crafted care as Harry’s boots above. Amazing Paper Sculptures: Not only the written word makes paper amazing. See its physical form in inspiring paper sculptures showcased inside or outside books, and made in Alicante, Spain. 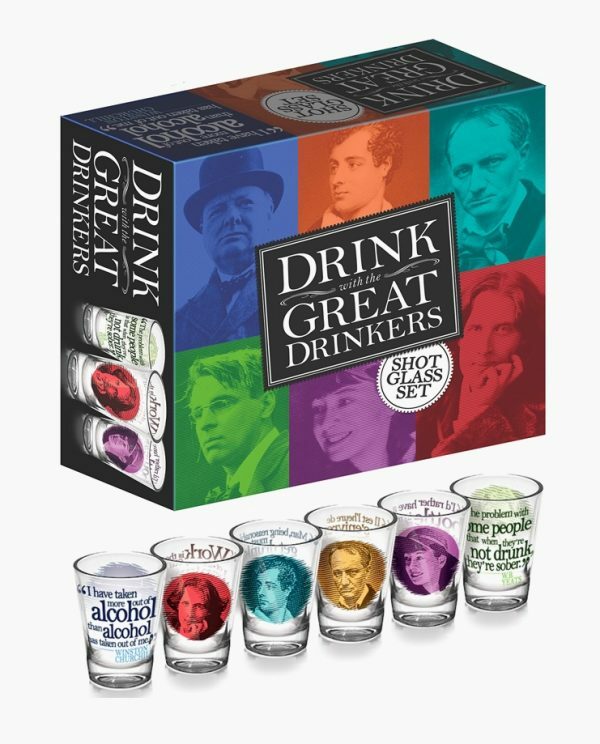 Literary Greats Shot Glasses: Drink with the world’s most celebrated drunks with this colourful six-piece shot set. Each glass features a coloured visage and drink-worthy quote. 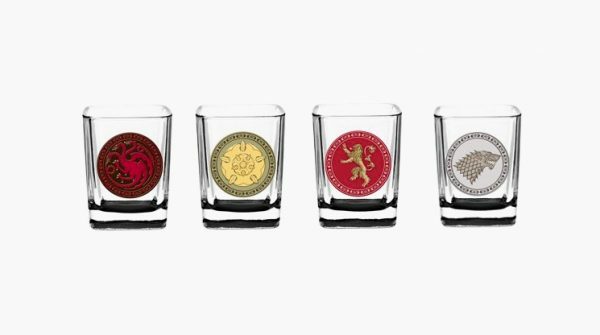 Game of Thrones House Sigil Shot Glass Set: Take a shot for the House of Sigil with this squared-off set of four. Made of glass, they’re the officially-licensed version from the HBO series. 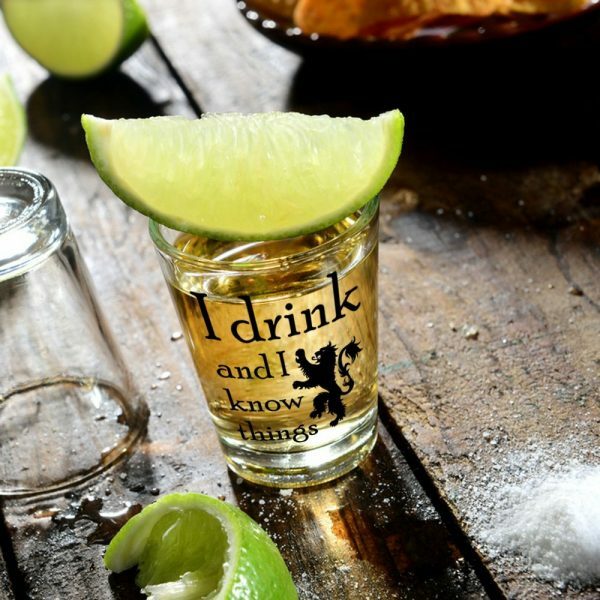 I Drink & I Know Things Shot Glass: Drinking brings bravado and knowledge, in this cheeky find for the reader that likes a tipple. 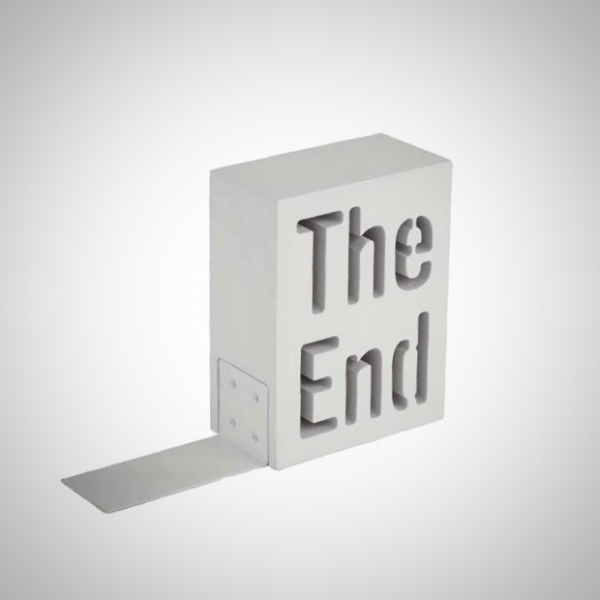 The End Bookend: Finish the story with a bookend marker, a simple block piece in white sliding swiftly under the last book on the shelf.